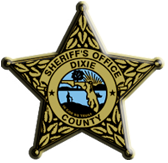 I want to take this opportunity to welcome you to the official website of the Dixie County Sheriff's Office. I sincerely hope you will easily find the information you are looking for as you explore the many services we provide to the public. It has been one of my goals to be more informative to the public through the use of modern technology. To achieve this, we are constantly working to make this website more user-friendly and enlightening. We are looking forward to utilizing this new and exciting tool to enhance our efforts. We hope the information provided here will be of interest and assistance to you. Another one of my goals is to be more visible and responsive to special needs in all areas. A high level of public satisfaction and input are our greatest assets when we look to expand and improve any area of the Sheriff's Office. The Dixie County Sheriff's Office has 73 dedicated and professional employees waiting to help you in any way. As you visit with us here and meet some of them, I am confident you will see what an excellent team we have to address all of your needs. Together we will achieve the goal of being one of the most modern and advanced rural county law enforcement agencies in the country. I am deeply committed to providing this agency with the tools and resources to be effective and responsive, so that at the end of the day, we can say we delivered the best service possible to the people of Dixie County. 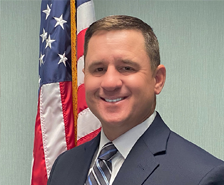 The Dixie County Sheriff's Office is built on a foundation of trust and performance achieved through the setting of goals and the willingness to adapt. New ideas are not only welcome; but they are a necessity to guarantee our success in the future. I will always seek out and listen to suggestions for improvement and enhancement in the delivery of service to the citizens and visitors of Dixie County. Please feel free to contact us at any time with your ideas and suggestions about ways to improve our service to the community. I look forward to the coming years as we work together to make every year better than the one before it and I will need your continued help and input to make that a reality. Thank you for allowing us to serve you, now and in the future. On behalf of the men and women of the Dixie County Sheriff's Office, I thank you for your continued support and I welcome your comments and suggestions.